I was in search of a cake like blueberry muffin loaded with blueberries. I finally found it! You can find the recipe here.These were delicious. My 3 year old who helped me bake them couldn't wait to eat one as soon as they were ready. I must say that they are excellent hot straight out of the oven or even after they have cooled off. In a mixer use the paddle attachment to cream the butter until smooth. Then add 1 cup of the sugar and mix. Next add the eggs, vanilla, baking powder, and salt and mix. With the mixer at low speed, add 1/2 of the flour, then 1/2 of the milk, and mix. Fold in the remaining 1 3/4 cups whole blueberries by hand until well mixed. In a separate small bowl, mix the remaining 2 tablespoons of sugar with the cinnamon. Use a cookie scoopor a large spoon to fill the muffin cups 3/4 full. 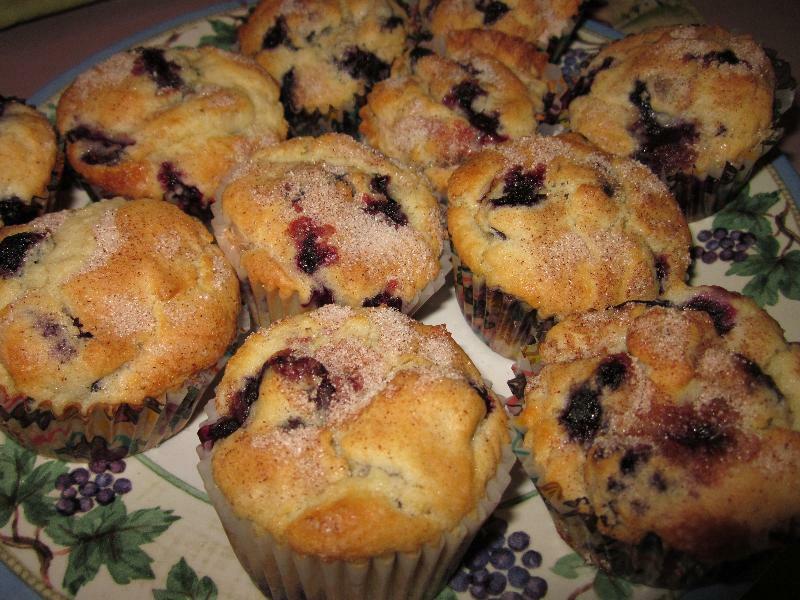 Sprinkle the cinnamon-sugar over the muffins and bake until golden brown and risen, 25 to 30 minutes. Let cool in the pan at least 30 minutes before turning out. 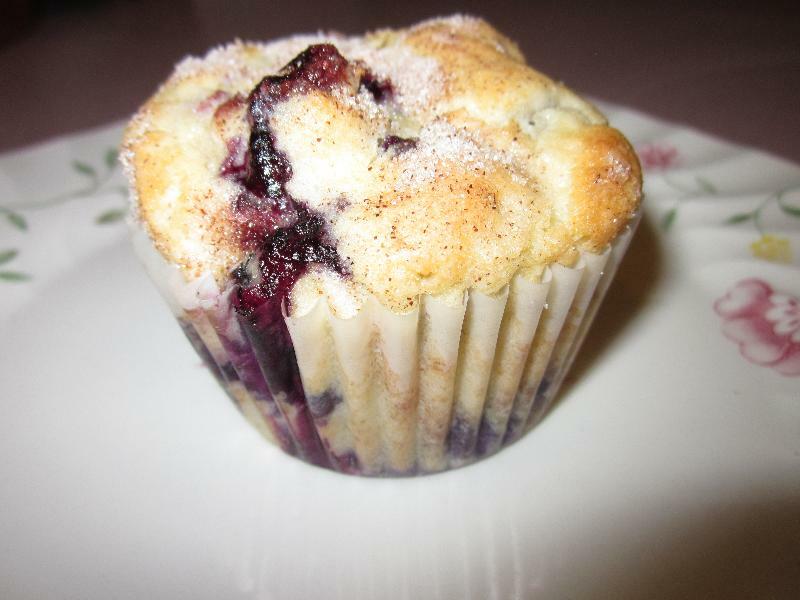 Description: A muffin loaded with blueberries! anonymous : I made these a couple of weeks ago and they were WONDERFUL! I skipped the step where you mash some blueberries and just put them all in whole. Also, I used frozen (thawed) blueberries. 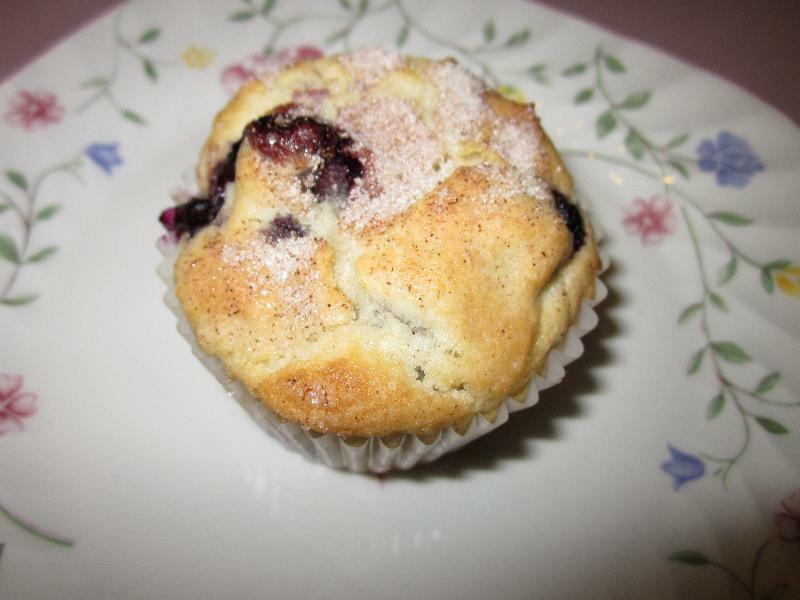 The whole family loved them, even me and I usually don't like blueberry muffins! Thanks for the wonderful recipe Kathy!